Why Did You Miss This Event? 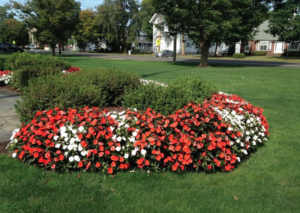 Around Town, Home, Latest News, Today's Events Comments Off on Why Did You Miss This Event? 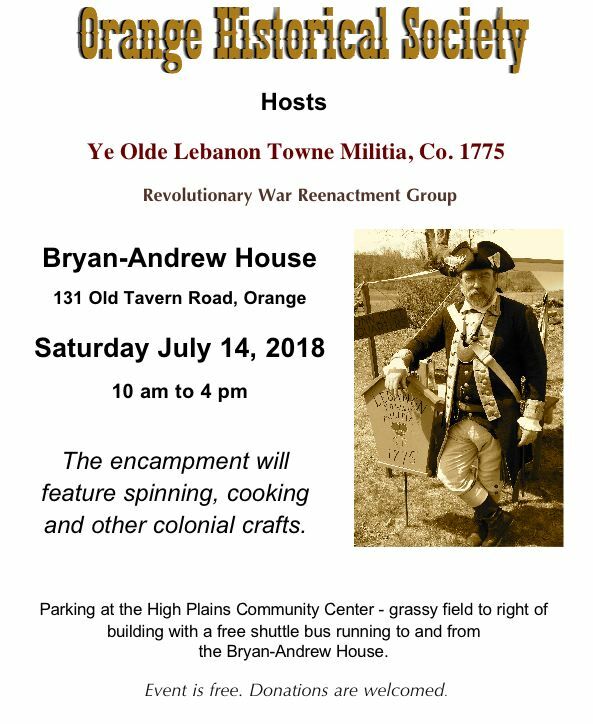 On Saturday, July 14, the Orange Historical Society hosted the Lebanon Towne Militia, at the Bryan-Andrew House, 131 Old Tavern Road, from 10 a.m. to 4 p.m. 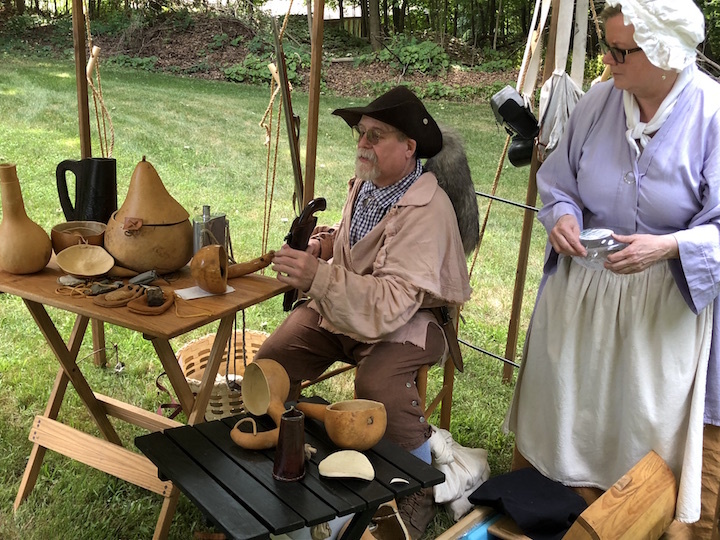 The Revolutionary War Reenactment Group set up an 18th-century military camp with crafts and occupations of the period and recreated the life of the colonial militiaman and his family for visitors. 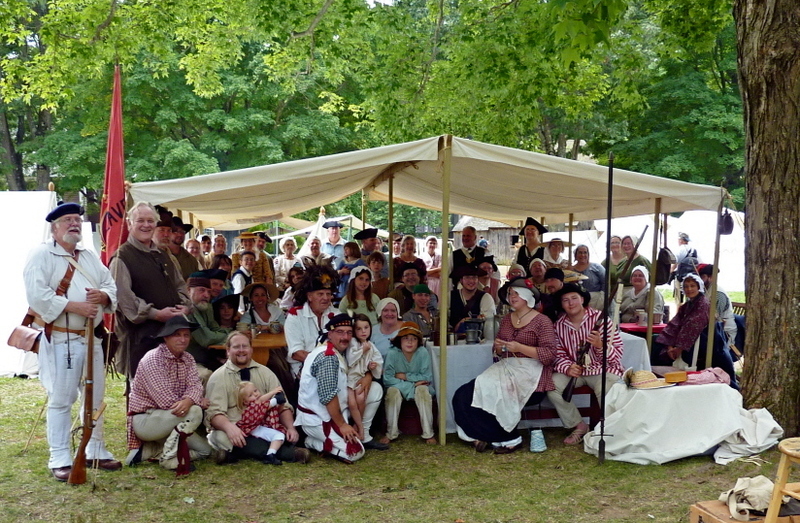 The encampment featured spinning, cooking, and other colonial crafts. Originally formed in the 18th century to defend the town of Lebanon, Connecticut, in 1775 at the beginning of the American Revolution, the Lebanon Militia Company saw service at Breed’s Hill and the Battle of Boston. armies that eventually won independence. The Lebanon Towne Militia was disbanded in 1776, with some members becoming part of the 6th Company of the Continental Line, and others supporting the war from their farms. The members of the group provided visitors with interesting and detailed answers to all of their questions and everyone walked away with a better understanding of the time period and bits of information, some of which took them by surprise. The Historical Society provided bus transportation from High Plains Community Center to the Bryan-Andrew House, but sadly, only about 50 people came out to the site. Perhaps if the Militia is available again in the fall more people will come out. It was a wonderful experience, very interesting and educational, not boring or stuffy whatsoever. This group is great! Members of the Lebanon Towne Militia, a Revolutionary War Reenactment Group, has set up camp at the Orange Historical Society’s Bryan-Andrew House, 131 Old Tavern Road today, Saturday, July 14 from 10 a.m. to 4 p.m.
Today, the Militia embraces 18th-century military camp life, crafts and occupations of the period, and recreates the life of the colonial militiaman and his family. The encampment will feature spinning, cooking, and other colonial crafts. Parking for this event, which is free, is available at the High Plains Community Center on the grassy field to the right of building with a free shuttle bus running to and from the Bryan-Andrew House.